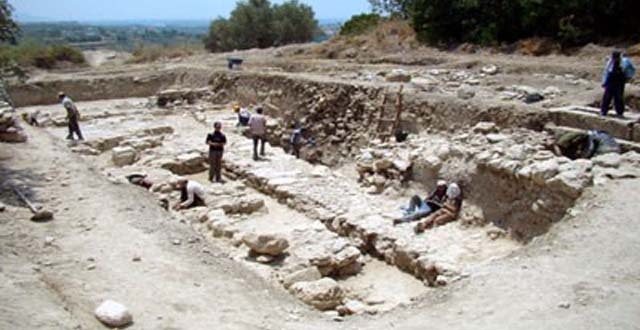 Syrian archaeologists have announced new discoveries found at an archaeological site near the coastal town of Jableh in Lattakia governorate, Syria. 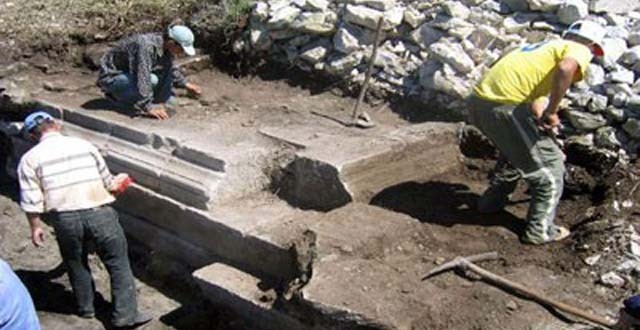 According to the Syrian Arab News Agency, archaeologists of the Syrian national archaeological expedition unearthed a rectangular structure in the western area of the Nibal Peak site. “The structure measures 26.5 m from north to south and is 13.15 m across, built with large stones and smaller, intricately-carved stones in the style of Roman temples,” said Mr. Ibrahim Younes Kheirbek, Director of Jableh Archeology Department. Mr. Kheirbek said, that the team found two another structures. Archaeologists uncovered the remains of a structure in the eastern area of the site, running 19 m from north to south and some 8 m across, its walls are made of large stones and ranging in thickness from 1 to 1.5 m.
They also unearthed the foundations of a structure built with large carved stones and measuring 7 m x 5 m. Remains of columns, pottery fragments, Roman and Islamic-era coins were found there. Additionally, extensive excavations around the perimeter of the Nibal Peak site revealed the ruins of an ancient residential area around 1 km east of the site and the ruins of a large structure likely to have been a Roman castle.